Affordable Real Estate Markets with Lush Price Growth! Charlotte 7th Place "Best City to buy a Home"
Charlotte housing market could be the first to rebound! Charlotte Housing Market still on Top! Charlotte was voted 6th Place "America's Smartest Cities"
Home prices sink in 21 of 25 Metro Areas. Not Charlotte NC! Home Values are up in Charlotte! Homes are retaining Value in some Housing Markets! Uptown Charlotte Vacancy Rate is lowest! Weddington Construction is on Hold! • 3,638 sq. ft., 3 bath, 4 bdrm 2 story "Huge Bonus Room!" - $2,200.00 USD Monthly - Executive Home! 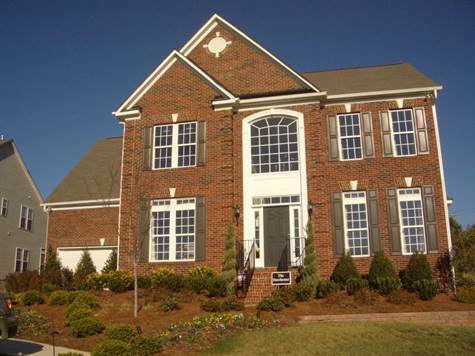 Brandon Oaks, Indian Trail - Builder Model home (was originally $390,000)! HUGE kitchen w Gourmet Island, Double Oven, & Cooktop. Dining Rom w. Tray Ceiling, Great Room with Coffered Ceiling, Study with Built-in Cabinets. Butler Station! Owner's suite with Tray Ceiling and Sitting Area, Luxury Bath with his/her Closet, separate Vanity, Garden Tub & Shower. Designer Paint and Wallpaper. Oversized Bonus Room. Surround Sound, Intercom, and Window Treatments. Washer, Dryer & Fridge can remain. Private Front, and Rear landscaped with Privacy Fence. In walking distance to Shopping and Restaurants! Low Union County Taxes and great Sun Valley Schools! The Brandon Oaks Community has tons of Amenities, Tennis Court, two Pools, Fishing Pond and Walking Trails. Listing Agent is Owner. Rent/Lease to Own considered for $2200, mo.